these are the seeds of destruction. Ahjvar, the assassin known as the Leopard, wants only to die, to end the curse that binds him to a life of horror. 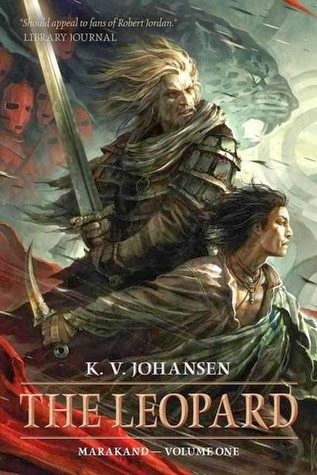 Although he has no reason to trust the goddess Catairanach or her messenger Deyandara, fugitive heir to a murdered tribal queen, desperation leads him to accept her bargain: if he kills the mad prophet known as the Voice of Marakand, Catairanach will free him of his curse. Accompanying him on his mission is the one person he has let close to him in a lifetime of death, a runaway slave named Ghu. Ahj knows Ghu is far from the half-wit others think him, but in Marakand, the great city where the caravan roads of east and west meet, both will need to face the deepest secrets of their souls, if either is to survive the undying enemies who hunt them and find a way through the darkness that damns the Leopard. To Marakand, too, come a Northron wanderer and her demon verrbjarn lover, carrying the obsidian sword Lakkariss, a weapon forged by the Old Great Gods to bring their justice to the seven devils who escaped the cold hells so long before. Interested in discovering more about haunted Ontario? Join Terry Boyle as he explores the shadowlands beyond the grave. Revel in the outstanding evidence of spirit habitation in museums, historic homes, inns, jails, and graveyards. Witness the full apparition of the innkeeper's wife at Greystones Inn in Orangeville. Encounter the misty form of a civil war veteran in the graveyard of the old St. Thomas church. Experience the incredible slamming-of-doors at the Keefer Mansion in Thorold. Visit a whole village of spirits who share the buildings at Black Creek Pioneer Village. You can even spend the entire night in the Orillia Opera House with Terry and his friends. Prepare to be scared out of your wits with the stories behind these and other hauntings. After providing you with a list of addresses, phone numbers, and websites for each location, Terry invites you and all other ghost enthusiasts along for the adventure. Feeling brave? Expected publication: May 5th 2014 by Salt Publishing Ltd.
Edited by the British Fantasy Award winning editor Johnny Mains, Salt’s ‘Best’ series takes a journey into the bottomless depths of horror. You will find no ‘pleasing terrors’ here. Best British Horror is a new anthology series dedicated to showcasing and proving without doubt, that when it comes to horror and supernatural fiction, Britain is its obvious and natural home. Cassidy Kincaide owns Trifles & Folly, an antique/curio store and high-end pawn shop in Charleston, South Carolina that is more than what it seems. Dangerous magical and supernatural items sometimes find their way into mortal hands or onto the market, and Cassidy is part of a shadowy Alliance of mortals and mages whose job it is to take those deadly curiosities out of circulation. Welcome to Trifles & Folly, an antique and curio shop with a dark secret. Proprietor Cassidy Kincaide continues a family tradition begun in 1670—acquiring and neutralizing dangerous supernatural items. It’s the perfect job for Cassidy, whose psychic gift lets her touch an object and know its history. Together with her business partner Sorren, a 500 year-old vampire and former jewel thief, Cassidy makes it her business to get infernal objects off the market. When mundane antiques suddenly become magically malicious, it’s time for Cassidy and Sorren to get rid of these Deadly Curiosities before the bodies start piling up. After ravenous corpses topple society and consume most of the world’s population, freighter captain Henk Martigan is shocked to receive a distress call. Eighty survivors beg him to whisk them away to the relative safety of the South Pacific. Martigan wants to help, but to rescue anyone he must first pass through the nightmare backwater of the Curien island chain. A power struggle is brewing in the Curiens. On one side, the billionaire inventor of the mind-control collar seeks to squeeze all the profit he can out of the apocalypse. Opposing him is the charismatic leader of a ghoul-worshipping cargo cult. When a lunatic warlord berths an aircraft carrier off the coast and stakes his own claim on the islands, the stage is set for a bloody showdown. 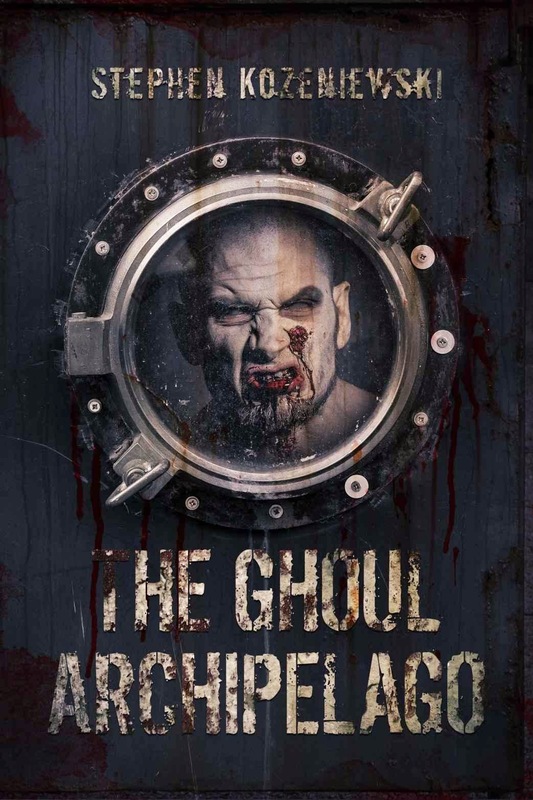 To save the remnants of humanity (and himself), Captain Martigan must defeat all three of his ruthless new foes and brave the gruesome horrors of...THE GHOUL ARCHIPELAGO. 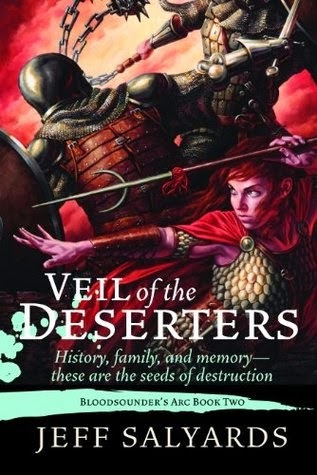 A good, solid fantasy, pretty much what I was hoping for, but not exactly a frantic page-turner. High fantasy, fables, science fiction, and more - catching up with the Grand Dame of science fiction. I always keep a few 'fun' paperbacks on hand for vacations or roadtrips, and this week it's Deathstalker making the journey. A modern Indiana Jones steals a relic of Alexander the Great. 'Nuff said. That's precisely what I'm in the mood for right now. adventure epic fantasy horror Mailbox Monday nonfiction Stacking The Shelves suvudu urban fantasy What Are You Reading? I like the sound of Deadly Curiosities and I'll be adding that to the ever growing wishlist! I'm not a fantasy fan but those covers are gorgeous. Happy reading! I've read a few short stories in the Deadly Curiosities universe and quite enjoyed them. Looking forward to the read. Really interesting mix of books you have this week. The Leopard sounds something that I could look into in more detail! Happy reading! Salyards moved up my list when he handled a troll with class on Goodreads recently. Plus his first book looked pretty good anyway. He's a good guy - classy as well as talented. Following his progress with Veil of the Deserters on Facebook has been quite interesting. Many thanks, Bob. I really appreciate that. The first two are why fantasy and science fiction books have the best covers! Sounds like an interesting mix, Bob. Love the cover of The Leopard, happy reading! Thanks for the mention, Bob! You're welcome - thanks for the read! 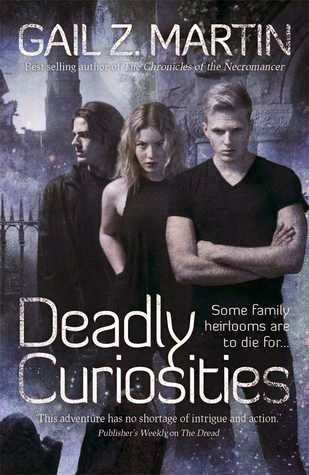 This week I got Deadly Curiosities too! Also have The Leopard from an earlier book haul, it looks fantastic and I can't wait to read. And I have to say that's like the scariest cover ever on Best British Horror. Wow! Lots of horror books there! They look pretty interesting too! Hope you enjoy them all! 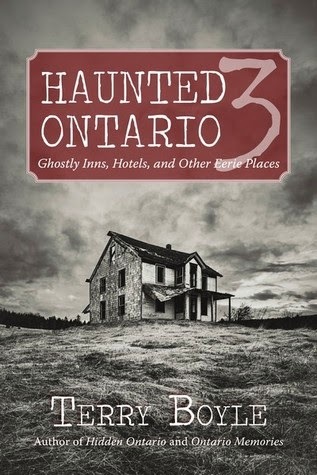 Haunted Ontario looks really good - fun for a stormy night! I'm looking forward to it. I actually started blogging (way back in the day) by photographing and writing about supposedly haunted locations around Ontario, and Boyle's first 2 books were a big part of my roadtrip planning. Reviewing this will be kind of like coming full circle. These are all new to me, Happy reading!! Also check out our OUAT 4 year Giveaway. Haunted Ontario looks good. The others look too scary.